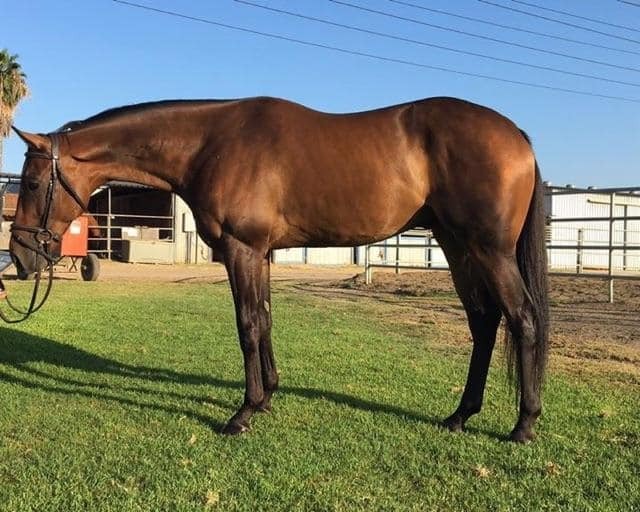 Bidawee farm takes pride in putting the right combination of horse and rider together. 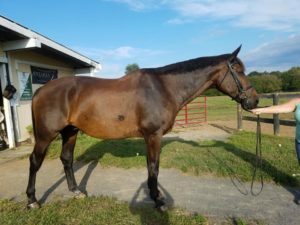 Whether it’s your next mount for competition, field hunting, or your next forever family member you are in search of, we always have a wonderful selection of prospects and sport horses currently for sale. The inventory is changing frequently so please check back often. 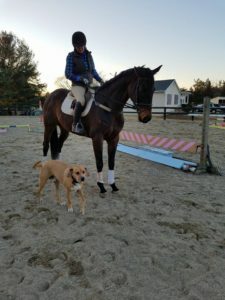 If you would like to speak with Sharon about finding your next sport horse prospect here at Bidawee farm please don’t hesitate to contact Sharon at 703-901-7776 or by e-mail. Prices subject to change without notice, as training progresses. Category A $ 10,000 and below Category B $10,000 – $20,000. 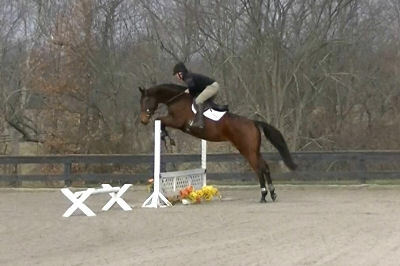 Lovely 6yr bay Tb gelding w some professional training. 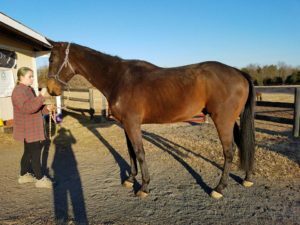 located Warrenton Va, great mind with wonderful temperament, stands perfectly for farrier ,has xc schooled w/o issues Loves to jump honest to the fences ,3 balanced gaits and uses himself correctly. Green but coming along beautifully, ready to show this fall J C name Market conduct .raced lightly several years ago .please call for additional information. Bidawee Farm/Sharon Miller. Priced way below market value for quick uncomplicated sale. JC name Copelan Clyde has new videos for your viewing. 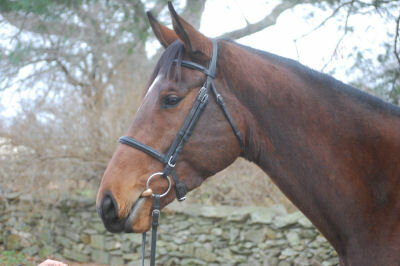 This gelding, just 4 yrs old is lovely in every possible way. He only raced 1 time Clean legs, not a blemish on him this combined with a great mind, lovely balanced movement, great stall manners, fantastic feet. Should make someone a lovely partner suited for any discipline. He is Fancy w/ tons of chrome to boot !!! Started over small fences ,very brave ( doesn’t look at a thing ). Goes in a snaffle and is extremely soft. 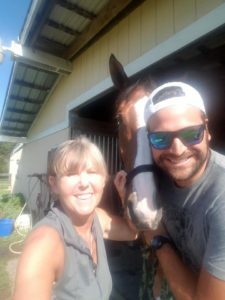 Congratulations to Alfalfa Salvaje and Zully Castrejon on their purchase of Copelan Clyde, I can’t wait to see what this guy does in your capable hands!!!! 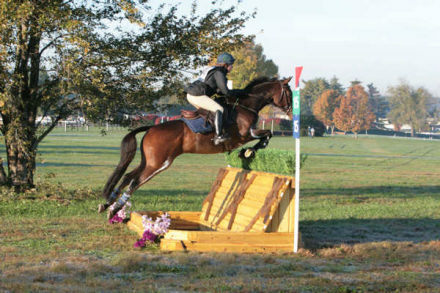 For Sale JC name, Hanky Doodle 2010 16’2 dark bay, gelding. This guy raced 68 times. Last raced in September. He has very clean legs, not a blemish on him. 100% sound with great feet. All class with a fantastic pedigree and fabulous mind. 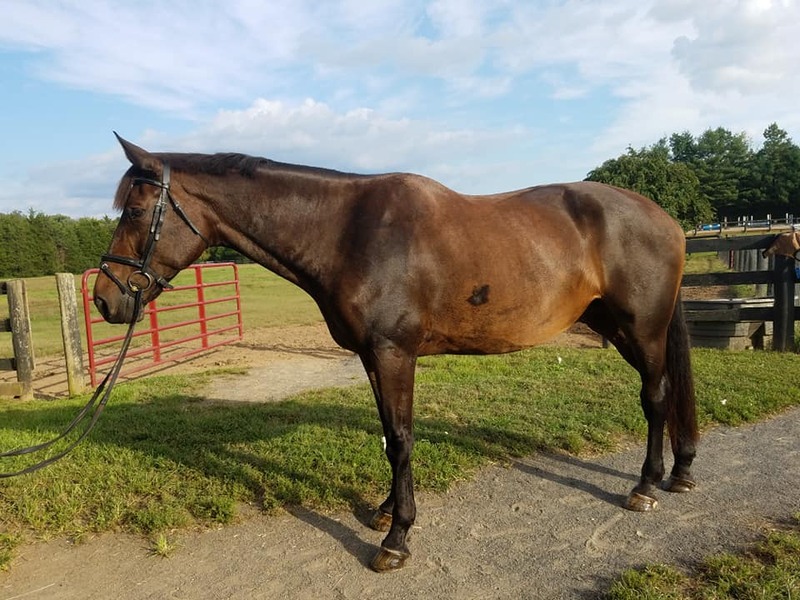 Hanky is kind enough for an Ammy that just wants a fun, honest horse for pleasure or show but is definitely fancy enough for a pro ride to take him to the top. This guy’s outstanding movement will only continue to excel as he learns to push greater from behind. 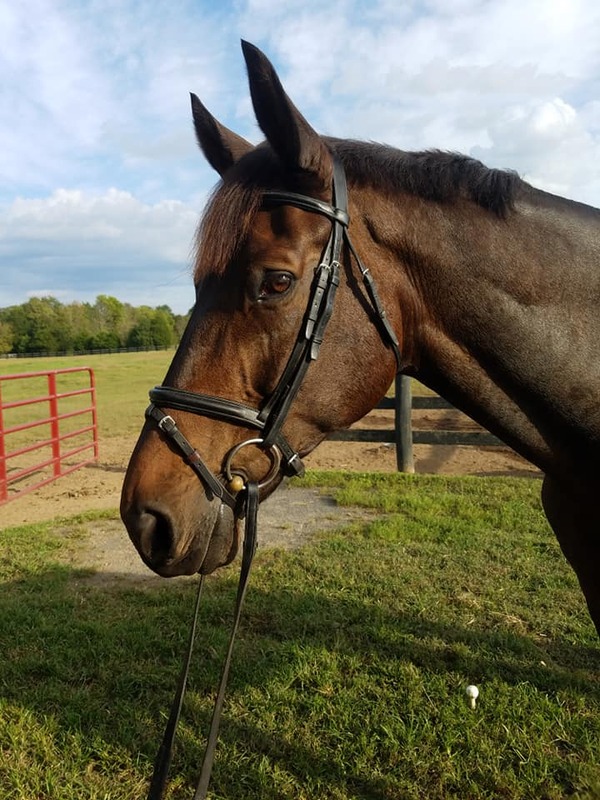 Light in the bridle, goes in loose ring snaffle, just started over xrails $5400. 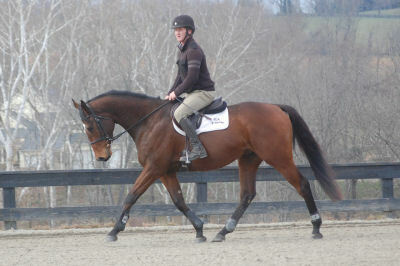 Warrenton Va.
Congratulations to Elizabeth Osborne on the purchase of Hanky Doodle, a 16’2 dark bay, gelding. This guy raced 68 times. 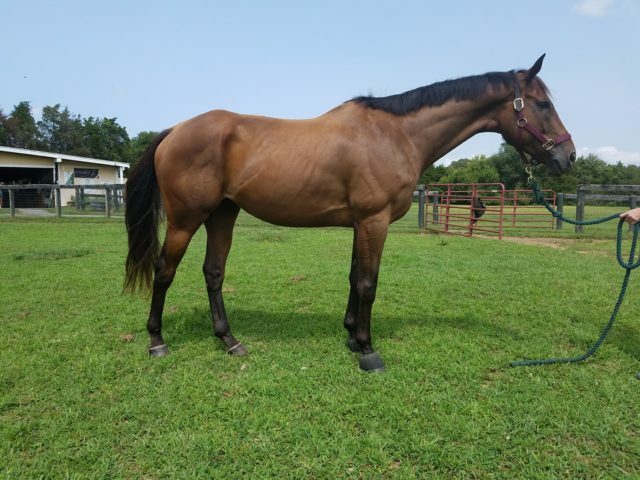 Bidawee Farm’s “Andy” 16’2h plus, 4yr, TB geld, large boned, lightly raced with just 3 starts. 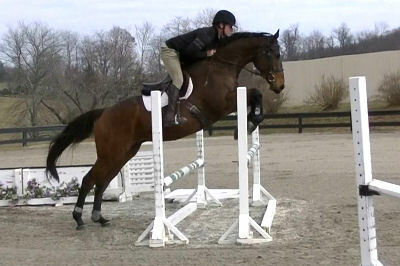 Easy on the flat, started over fences and showing amazing jumping ability. 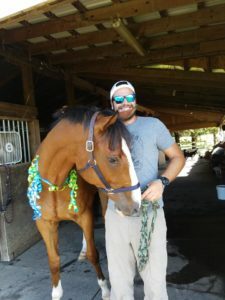 Andy is a kind and willing horse with a super attitude. No vices, sound, barefooted w/great feet. Suitable and easy enough for Amateur. Fancy and talented enough for professional. 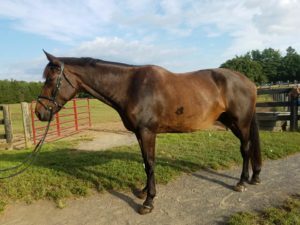 4 yr, DOB 5/12/10 16’1TB gelding. 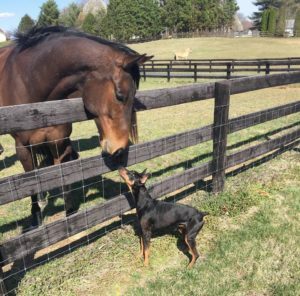 Bandini is anything but speedy, therefore he never raced. This promising youngster has a fantastic mind, is kind, has great ground manners, cross ties, self loads and travels well to new places. 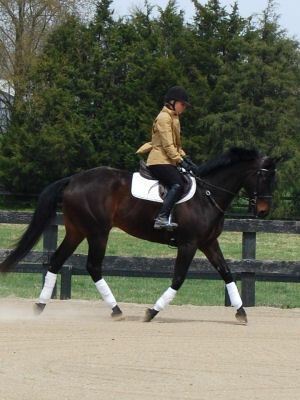 He is 100% sound w/ clean legs and has three beautiful, fluid gates with natural balance and cadence. Recently started over course work and small fences it is clear he loves his new job !! Trail rides quietly alone and in company, crosses water, ditches and banks out issue. He is a clean slate, started correctly and is ready to compete in the discipline of choice. Bandini is a mild cribber 100% controlled w/ a collar. Miesque Star “Mickey” available for 2016 season lease!! 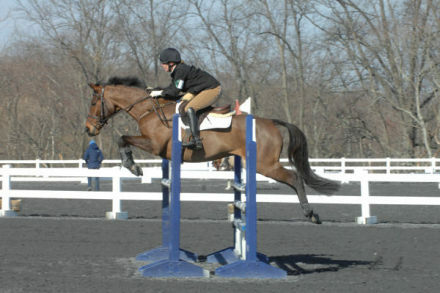 10 yr.old, 15′ 3 hh.,Gelding, Mickey is an experienced eventer with lots of mileage at the preliminary level . 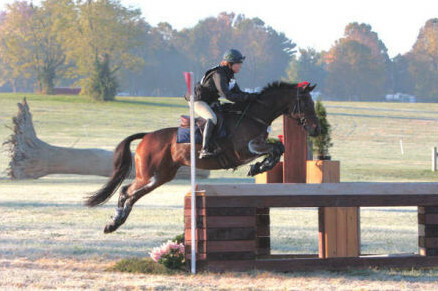 He completed both a CIC* and a CCI* in 2011. 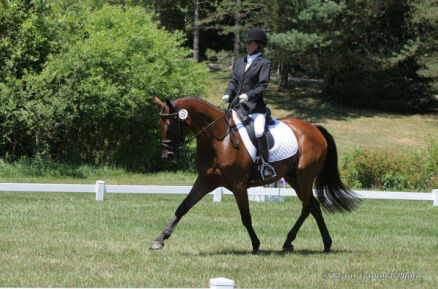 Mickey has won multiple highest placing OTTB awards at the preliminary level as well as the Purple Haze award at CIC* level. 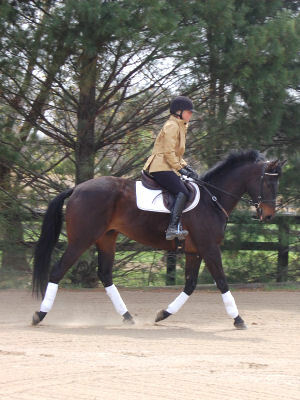 He is Schooling 2nd level dressage with good lateral work. He has the personality of a pony with an in your pocket attitude… Loves attention and easy in the barn. Ready to go out and compete or just be your next best friend. 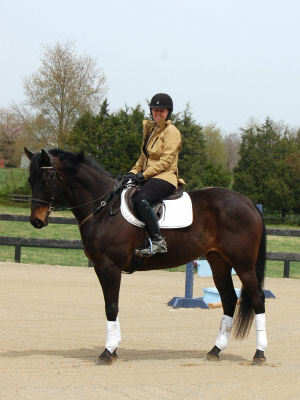 Currently being ridden by a 15yr girl Located in Virginia. 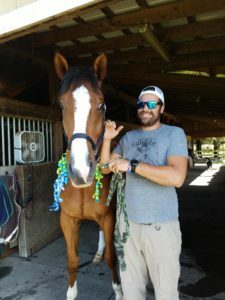 Best suited for a Pony Clubber, JR., YR or Adult Amateur. View videos of Mickey on our Videos page.